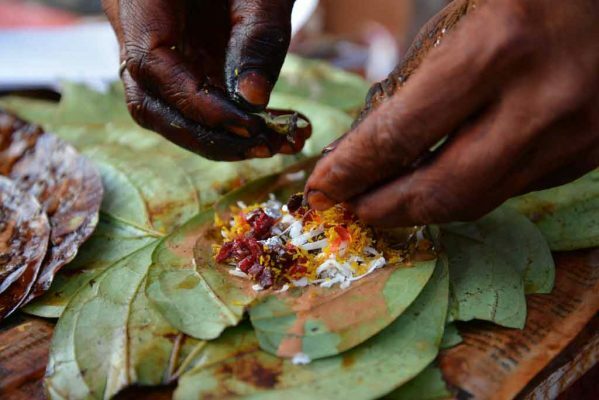 The paan is widely favoured by a section of NRIs from Hyderabad's old city besides others from Pakistan and Bangladesh. Jeddah: The price of betel leaves is seeing an abnormal rise over the last few days in Saudi Arabia. The price went up five folds and rattled paan-chewers in the Gulf country. The paan is widely favoured by a section of NRIs from Hyderabad’s old city besides others from Pakistan and Bangladesh. Chewing and spitting of paan, especially in public places, is prohibited in the Gulf, yet paan business continues to flourish in the Hyderabadi expatriate density areas such as Hara in Riyadh, Sharafia in Jeddah and Sulekha in Dammam and also other towns across Saudi Arabia. In fact, many come from faraway places for it. Paan chewers turn a blind eye to various initiatives adopted by local bodies to keep cities clean and continue to go on a spitting spree, dirtying street corners, pavements, walls and staircases. Bangladesh is the prime source of betel leaves that caters to the needs of the kingdom. Saudi Arabia imports pan worth around SR 56 million every year, according to official statistics of Bangladesh. The country temporarily halted paan exports to Saudi Arabia, followed by a warning from the Saudi Food and Drug Authority (SFDA) after it detected the presence of some harmful pesticides in consignments of paan. The supplies fell across the kingdom as Bangladesh halted exports of the leaves, subsequently price skyrocketed, according to paan shop operators in the city. The paan from India is being sold now at SR 130 per kg in the local market. Calcutta paan is famous in India and also abroad. The prices have gone through the roof at the retail level. Shops, which sold two pieces of paan for SR 1 till last week, are now selling only a single piece for the same amount. Prices vary depending on locations.